Stan Lee, the master of the comic verse, passed the other day. Lee, responsible for the creation of so many superheroes, Iron Man, Spider-Man, the X-Men, The Fantastic Four, and The Black Panther was a genius. 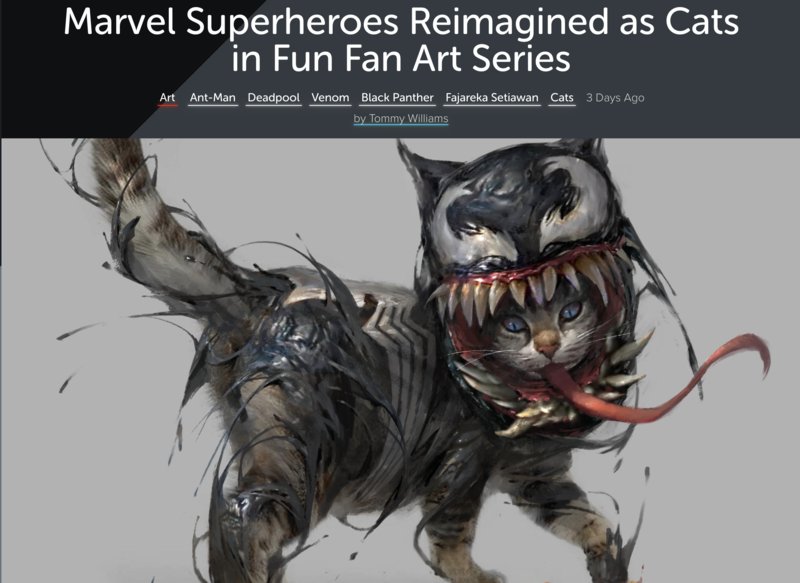 No doubt he probably would have gotten a good laugh at the recent Geek Tyrant post of his memorable characters super personas reimagined as cats. R.I.P. Stan Lee. Posted in Cats, Inspirational and tagged Black Panther, Cats, Fantastic Four, humor, Marvel Entertainment, SpiderMan, Stan Lee, X-Men. Bookmark the permalink.